Yesterday, in his advocacy for HJR 493, legislation that would remove the Tennessee Constitution’s requirement that the General Assembly adequately fund schools, State Representative Bill Dunn suggested that increasing funding for schools across the state actually does not improve student outcomes. He cited the initial BEP investment, started in 1992 and said that from beginning to end, the program actually resulted in lower student achievement numbers. This would be a great way to prove Dunn’s case that the General Assembly need not provide additional funds to schools in order to provide an adequate education. The ACT is one of three tests approved by the State Board of Education to fulfill the requirement in state law that all students take an exit exam to receive a full high school diploma. The total number of Tennessee graduates taking the ACT rose 25% during the first three years of this new requirement: from 32,628 in 1995 to 40,782 in 1998. Included among those tested were 14,284 who had not completed a college preparatory course of study. Even with these dramatic increases in the number and percentage of students tested, Tennessee’s students were able to narrow the gap between the state and national composite scores in 1998. So, more students than ever were taking the ACT and by 1998, the state was turning around an initial decline in scores. That’s a different story than the one Bill Dunn told. These results show statistically significant improvements in math scores over the same time period the General Assembly was significantly improving investment in public schools. That is, what Bill Dunn said yesterday was just plain wrong. Finally, it’s worth examining the ACT score differences among districts during the early BEP years. An examination of data beginning in 1991 (the year before BEP) and ending in 2001 (so as to provide 10 years of comparable data) indicates that the top scoring districts in the state on the ACT were also among the top spending districts. In fact, over those years, while not technically statistically significant, it can be said with 92% confidence that the difference in ACT scores among the highest- and lowest-performing districts is explained by per pupil expenditures. That is, the higher the spending, the more likely the district is to be among the state’s top performers on the ACT. Additionally, during this same ten year time period, the gap between the highest and lowest scores among districts is clearly explained by the gap in per pupil expenditures among those districts. You spend more, you get better results. 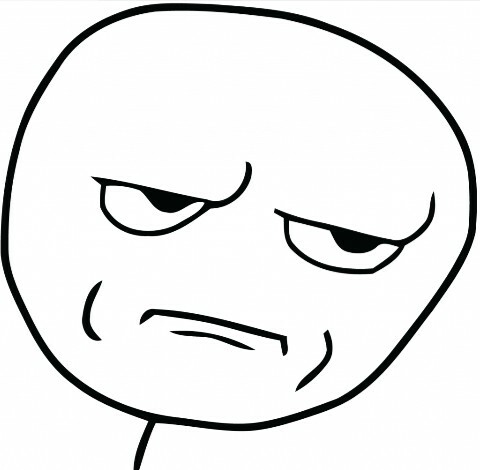 The impetus for all this spending was the new BEP formula that sent more money to all school systems. Those districts already at the top were most able to take advantage and boost ACT scores while those at the bottom saw an increase in the number of students taking the ACT, resulting in the statewide slight ACT decline Dunn references. Investing in schools matters. Our state’s constitution requires the General Assembly to provide a system of free public schools, including providing adequate funding for those schools. Bill Dunn doesn’t think spending levels matter. The data suggests otherwise. That’s what Senate Education Committee Chair Dolores Gresham had to say in terms of Tennessee’s education goals right after praising the state’s recent NAEP results. Her remarks came at the beginning of a hearing her committee conducted on school choice earlier this week. They can be found just past the two minute mark in this video. What’s frustrating is that she then proceeded to spend hours conducting a hearing that was nothing short of a celebration of all the supposed benefits of school voucher schemes. Here’s a quick summary of some key arguments against vouchers. The bottom line is they are expensive, can be susceptible to fraud, reduce accountability, and most importantly do not improve student academic outcomes. While Gresham continues to put forward school vouchers as a solution to at least get Tennessee to mediocrity, the state’s BEP Review Committee is busy telling legislators that all the funding woes of the past have been miraculously cleared up. After hours of hearings, we are still no closer to a path to that mediocrity to which Gresham hopes our state can achieve. At least we now have a clear understanding of her expectations. The 2015 NAEP results are out today and there is already discussion about what they mean both state-by-state and nationally. That’s pretty strong language. Proved. Governor Haslam said this year’s results proved that the gains seen in 2013 were real. 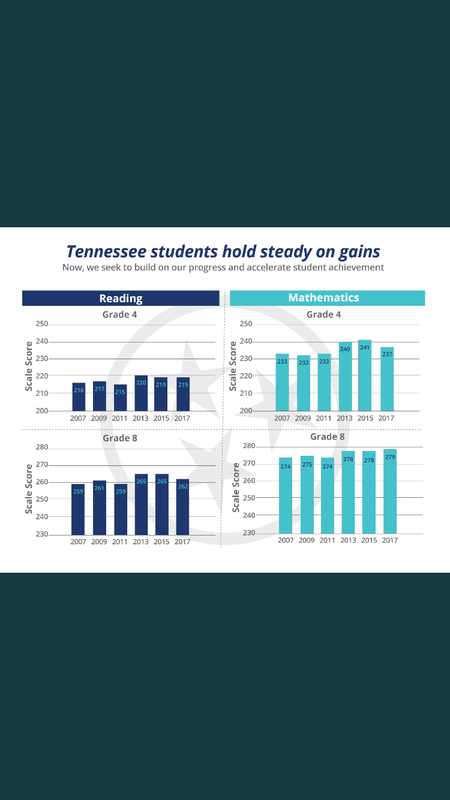 Here’s what we know: Tennessee remained relatively flat – no significant growth, relatively small decline in reading scores. Basically, we are where we were in 2013. Here’s what else we know: The entire nation remained relatively flat — no significant growth, some decline in math. So, here’s what that means: In 2013, Tennessee gained faster than the national average. In exactly one testing cycle. In 2015, Tennessee didn’t do worse than the rest of the country. We also didn’t do better. Like the rest of America, we remained steady. That is, it’s entirely possible the 2013 gains seen in Tennessee were a one-time occurrence. An outlier. Had Tennessee again made gains that outpaced the nation, one could say the results suggest something special or different is happening in Tennessee that may be causing the gains. It’s important to be cautious until you have several years of data and more thorough analysis. Was Tennessee’s performance on NAEP in 2013 a blip or an indicator of actual progress? The 2015 results don’t provide much insight. The good news: Tennessee held steady. The related news: So did everyone else. The Williamson County Education Association is the latest teacher group to express a lack of confidence in Tennessee Education Commissioner Kevin Huffman’s ability to lead the state’s schools. The announcement of the vote adds to a growing list of teacher groups, superintendents, and school boards expressing frustration at Huffman’s lack of collaboration and top-down leadership style. Williamson County’s Director of Schools, Mike Looney, signed a letter also signed by directors across the state expressing frustration with Huffman. While the vote was taken before last week’s release of NAEP results, Williamson County teachers maintain they are not opposed to positive reform, but are frustrated with leadership at the state level they say is not listening to teachers.